During a 30-year Army career punctuated by service in Operation Desert Storm and a 15-month deployment to Baghdad, David K. Dunning developed a profound respect for his fellow military service members. That unwavering commitment to, and connection with, veterans has prepared Dunning well, he believes, for a new career challenge: overseeing the Memphis VA Medical Center. After more than a year of a succession of interim and acting directors, the Memphis VA Medical Center chose Dunning this year as permanent medical center director and CEO. His appointment came at a time when VA facilities across the country faced intense scrutiny over issues such as quality of patient care, long wait times to see doctors and understaffed and aging campuses. But Dunning accepted the job fully aware of the criticisms and stresses faced in Memphis and elsewhere, and they have strengthened his resolve to improve the welfare of veterans. Dunning believes his military background provides an insider's advantage that will aid in accomplishing the task. "I'm a veteran of 30 years, and while I can't share all the experiences of every veteran who comes to the VA, I do have a valuable context to draw upon because I've been there," he said. "I have three decades of military experience that help me understand where they're coming from, and I understand their issues." Those issues are complex and numerous. The Memphis VA serves nearly 200,000 veterans from Memphis and 53 counties in West Tennessee, North Mississippi and Northeast Arkansas. Dunning is determined to elevate the healthcare experience for all those served by the institution. "The Memphis VA is similar to places I've worked in the past, and I'm convinced that as good as I believe the care is here - and it is very good - we can get even better," he said. "Memphis has true potential to be a national leader among VA centers, and we're committed to realizing that vision." Dunning leads a new executive team that he said initially will be focused on improving access and quality of care, increasing patient safety and meeting and exceeding veterans' and employees' expectations. Now that a permanent team is in place, he is confident that stability from leadership will generate better and standardized care across the board. "We have tremendous support from the VA central office and the Mid-South district to carry out this mission," he said. "We're short on people and we're working to recruit highly qualified personnel and make this a better place for healthcare professionals already in place. "I'm also making it a priority to walk around the campus and talk to veterans and employees to find out what they need. The best way to find out how we can improve is to speak directly to the patients receiving care and the people providing services." In addition to services and experiences inside the VA, Dunning said plans are in place to address parking problems, which he admits aren't unique to his facility. "Parking is a huge dissatisfier, but you can't ignore it just because every other healthcare facility suffers from similar situations," he said. "We're working to eliminate some of those headaches. Our ER renovation should be complete soon, and that will open up several dozen spaces that have been blocked. When the north tower renovation is complete, that also will help overcrowded parking." On the facility's west side, construction on a new three-level parking garage will begin once funding has been awarded later this year. The two-year project likely will get under way in 2018. The garage will be built over an existing parking lot, resulting in 315 total spaces. Also in the works is a plan to reconfigure the interior spaces where veterans access patient services. The current diagram can be confusing and frustrating, Dunning said, but that will change. "Our goal is to re-create the VA as a state-of-the-art facility, and part of that strategic plan includes taking a hard look at the halls and walls," he said. "We want to offer a seamless and easy experience for our veterans rather than requiring them to walk all over the building. I'd like to see a one-stop shop in the lobby that streamlines the process and makes it more efficient and less cumbersome for everyone." Dunning is also excited about the VA's partnership with the University of Tennessee Health Science Center, and he looks forward to working closely with UTHSC officials to build the VA's residency program and produce more medical professionals. "The VA does not stand alone in this community," he said. "Our strength comes from collaborating with existing ties within our community." When Dunning says "our community," he indicates an investment in an area he has called home for his entire life. A Memphian by birth - his family lived in Somerville, but he was born at the old Baptist Hospital in the Downtown Memphis medical district - Dunning has two brothers who attended the former Memphis State University, and he still counts family members here. After spending his first three years in West Tennessee, Dunning moved with his parents to Columbia, Tennessee, and lived there several years before the family relocated to Syracuse, New York. He spent his teen years there before being awarded an ROTC scholarship that led him to Greenville, South Carolina, where he studied at Furman University, and earned a bachelor's degree in political science. He earned a master's degree in public administration from the University of Missouri at Kansas City and a master's degree in strategic studies from the U.S. Army War College. 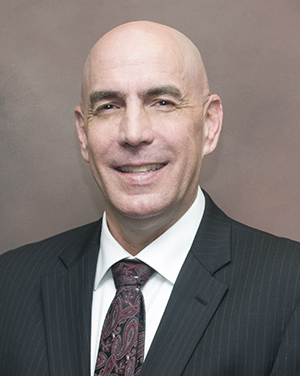 His professional experience includes an internship at Walter Reed National Medical Center, a couple of years as a military consultant in Saudi Arabia and medical administrative posts in Germany, Hawaii, Kansas, Louisiana, North Carolina and Texas. And through 13 career moves in 19 years, Dunning always considered Memphis a part of him. After completing 30 years of military service, he looked for opportunities to continue serving, and the Memphis VA seemed to be a perfect fit. "Although this is the first time I've actually lived in Memphis, I've visited family here off and on my entire life and I'm very familiar with the city," Dunning said. "My wife is so excited for us to move here that we call this our forever home. This is where we plan to stay."